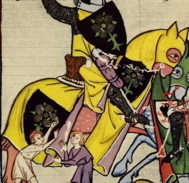 This page is part of a larger article. 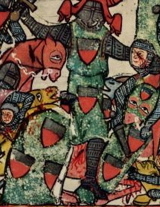 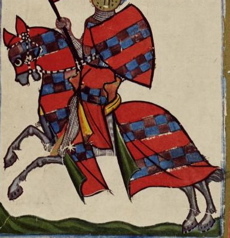 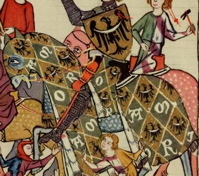 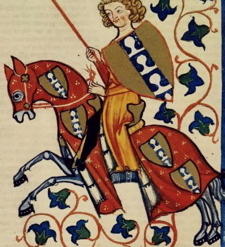 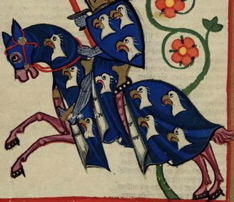 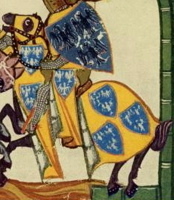 2 horses whose caparisons do not match their riders' shields or surcoats. 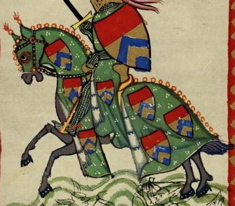 Note: We can only see the back of the rider's shield; it may not be intended to represent his arms. 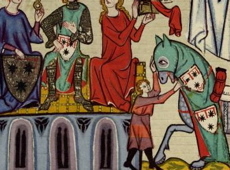 1 horse whose rider isn't visible. 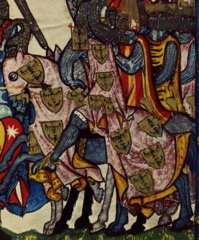 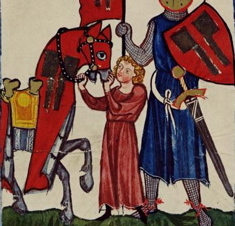 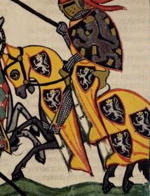 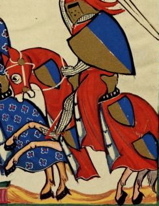 Note: The shield in this image is being carried by a second rider, behind the one in the yellow and blue surcoat. 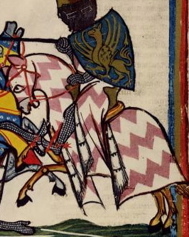 Note: You can just see a little of the yellow and none of the blue of the backmost rider's surcoat, but I think it's likeliest that it matches the caparison, as those of his two fellows do.